Beijing, China's capital city, is home to a great number of historical and cultural treasures. Comparatively, Shanghai is famed for its dynamic city life and fast development. 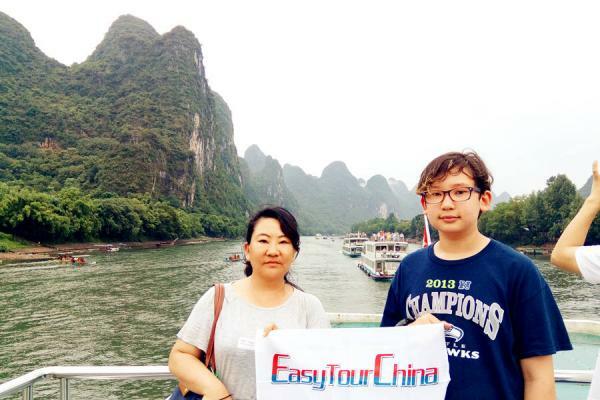 Try this tour and discover what differences existing between the two top cities in China by yourself! You will be welcome by our guide upon arrival in Beijing Capital Internation Airport and transfer to hotel by private vehicle. Free at leisure for rest of the day to recover from the flight journey. 2 Day 2 Visit Tiananmen Square, Memorial Hall of Chairmen Mao, etc. 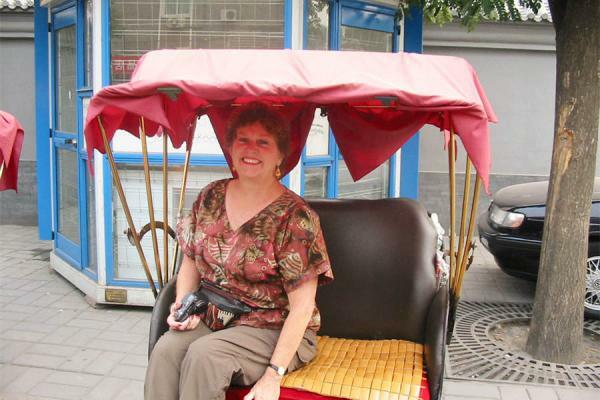 Explore the city by public transportation, including metro & bus, or even try shared-bikes that so popular in China cities. 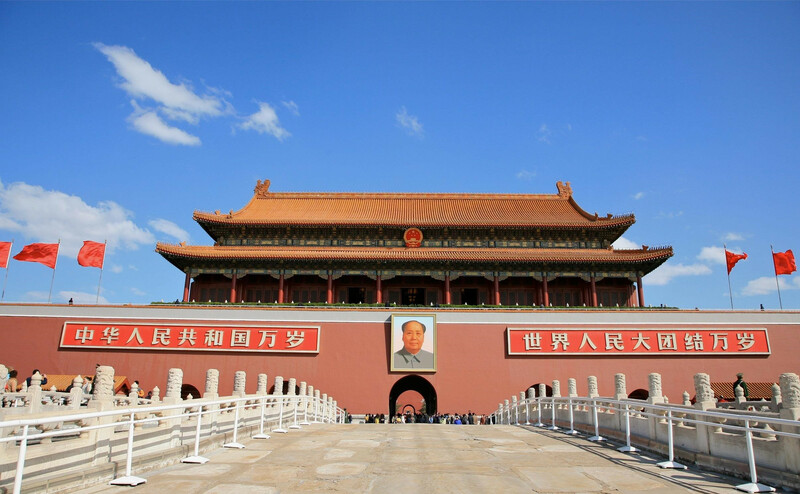 Your first stop is Tiananmen Square, which is the largest city square in the world. It contains the Monument to the People's Heroes, the Great Hall of the People, the National Museum of China, and the Memorial Hall of Chairmen Mao. And then, walk through the Tiananmen Tower (Gate of Heavenly Peace), you will visit the Forbidden City for around 2hrs. Served as the imperial palace for 24 emperors during the Ming and Qing Dynasties (1368 - 1911). 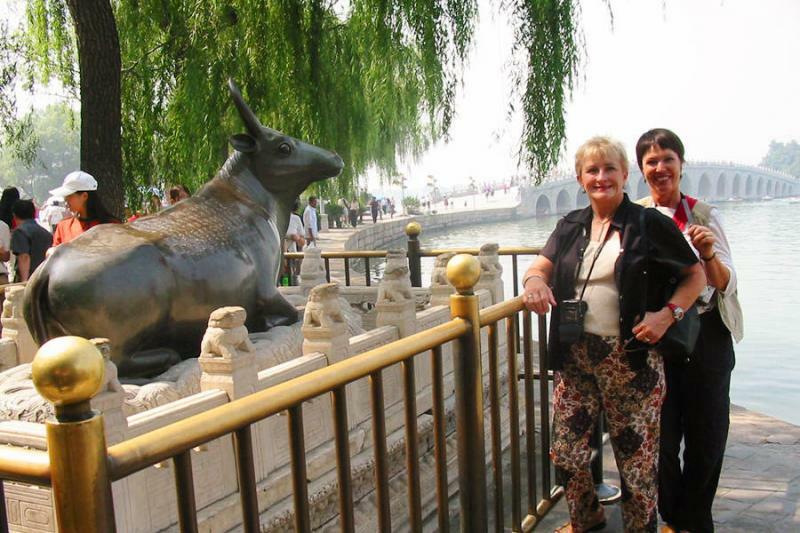 the Forbidden City is a must see site for visiters. Apart from the three main halls on the central axis, you can have bird view of the palace from the only section of the wall at Donghua Gate. Traditional noodle meal for lunch and then take metro to Temple of Heaven, an imperial complex of religious buildings situated in the southeastern part of central Beijing. The complex was visited by the Emperors of the Ming and Qing dynasties for annual ceremonies of prayer to Heaven for good harvest. It is now a park that local people go for diferent activities, like Taichi, Singing & dancing, chess playing, etc. After the visit, take metro back to hotel. Tips: The Forbidden City closes on each Monday. The Memorial Hall of Chairmen Mao open to public from 8am to 12am from Tuesday to Sunday. Bags, camera and water/drinks are not allowed and free locker is vailable. Today's hightlight is the Great Wall, another "must see" besides the Forbidden City. 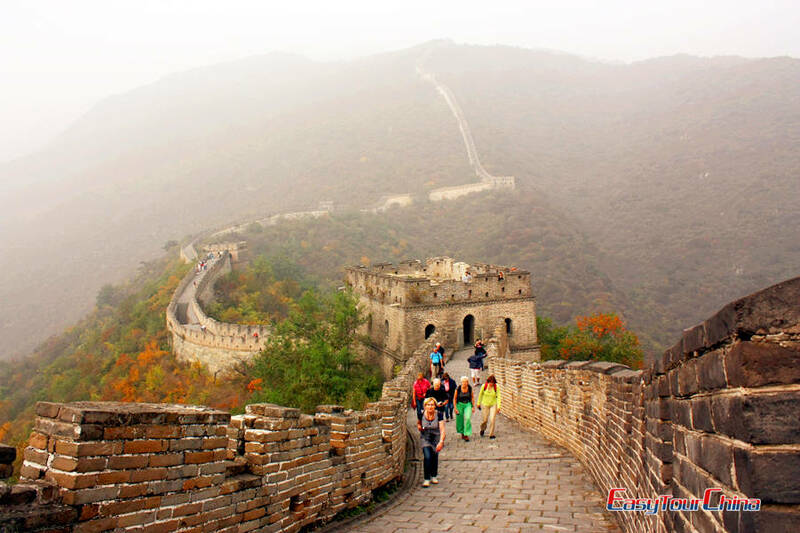 Mutianyu section is a less busy part of the Great Wall, compared with the most popular section of Badaling. As one of the best-preserved parts of the Great Wall, the Mutianyu section of the Great Wall used to serve as the northern barrier defending the capital and the imperial tombs. Buy some snacks on the wall since you will have a late lunch today. Drive 1.5hrs from hotel to Mutianyu, walk around 30min up to the wall (cable car is available for optional choice). It is suggested to walk from No. 10 Tower to No. 23 Tower and the most difficult section is between No. 19 and No. 20 Tower, worth of a challenge. Take your time on the wall and you may have a real understanding of the Chinese saying "He who has not climbed the Great Wall is not a true man." You can choose to descend by walking or cable car at No. 14 Tower or Toboggan Slide at No. 6 Tower. Lunch will be taken in a restaurant special for trout - you can catch the fish in a small pond with a net on you own. On the way back, take a art walk at 798 Art Zone if time permit. It is an artistic community based in some disused, Mao-era factories, and its main concentration are contemporary art galleries, art bookshops and cafes. Cinese Kung Fu Show or Peking Opera are highly recommended fo your evening activities (optional). Tips: Most galleries, shops and cafes in 798 Art Zone open at 11am and close at 6pm. Some close on each Monday. Check out after breakfast. This morning you will go to visit another highlights of Beijing, the Summer Palace, a vast ensemble of lakes, gardens and palaces. It is the largest and most well-preserved imperial garden in China. In December 1998, UNESCO included the Summer Palace on its World Heritage List. It is declared as "a masterpiece of Chinese landscape garden design". After the visit, you will go to visit local Hutongs at Houhai Lake area. Hutong means water well in Mongolian word (hottog), which date back to when Beijing was the capital of the Yuan dynasty (1266-1368). Most buildings in hutongs are made in the traditional courtyard style. Nowadays, there are still many local Beijingers live in it, though many have been changed to bars or restaurants. You will learn lot of Chinese traditional culture from the building decorations and structures. The lunch will be in one of the courtyard family - not a real home visit, but good to experience local people's lifestyle. Transfer to railway station and take high speed train to Shanghai. The 1318km journey takes only 4.5hrs with highest speed at 350km/h. Tips: Passport is required to take train. Knives and scissors are prohibited on train. Aerosols like air freshener, Insecticide sprays are limited to 300ml. No smoking on the train! Shanghai is the financial and fashion center of China, it is also a fascinating mixture of East and West cultures. With the first stop, Yu Garden, the city exploration shows you one of the most traditional Chinese culture of archetechture. 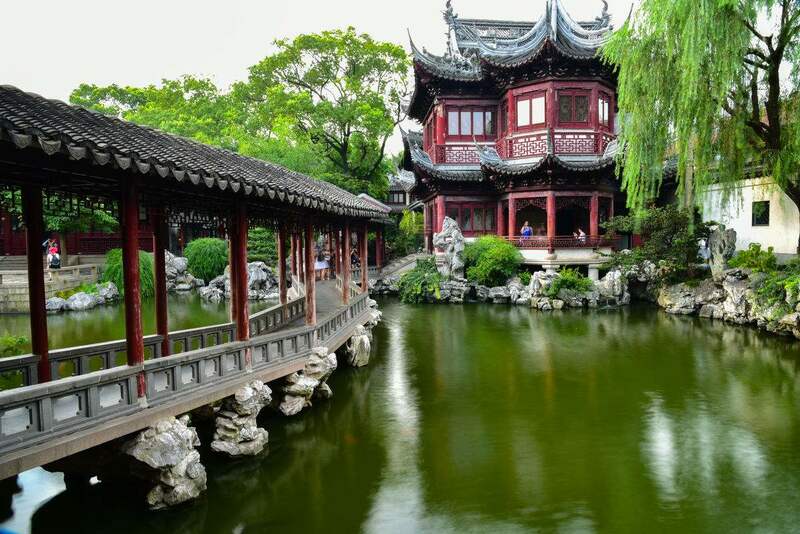 A typical Chinese garden includes one or more ponds, rock works, trees and flowers, and an assortment of halls and pavilions within the garden, connected by winding paths and zig-zag galleries. You may have interest to take a tea break in the teahouse in the garden. Afterwards, take a free shopping at nearby Chenghuangmiao Market, the best bazzar for great bargain to shop. Enjoy dim sum meal for lunch. Next stop is Xintiandi Area, a district composed of an area of reconstituted traditional mid-19th century shikumen ("stone gate") houses on narrow alleys. It is considered one of the first lifestyle centers in China. You will have chance to see the site of the first congress of the Communist Party of China and the Shikumen Open House Museum. Take walk there and then transfer to the Bund by Huangpu River. The Bund once was the financial center of the Far East and is considered as the city's symbol since the 1920s. It is often referred to as "the museum of buildings", as many different old colonial-era buildings can be found here. Across Huangpu River, you can see financial centre of China, Pudong New District and Lujiazui. Water town is another highlights in south China. 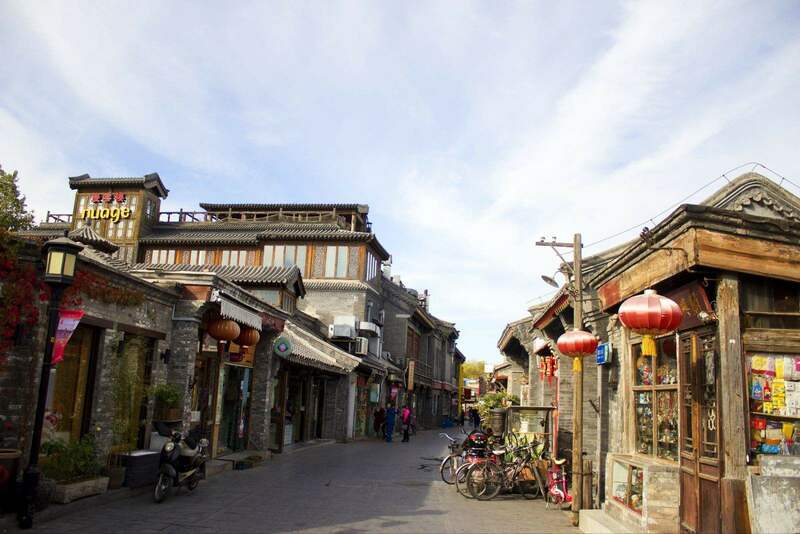 This morning you will go to visit one of the most famous water town, Zhujiajiao. The small town is about 50 kilometers away in the western outskirts from the city centre. 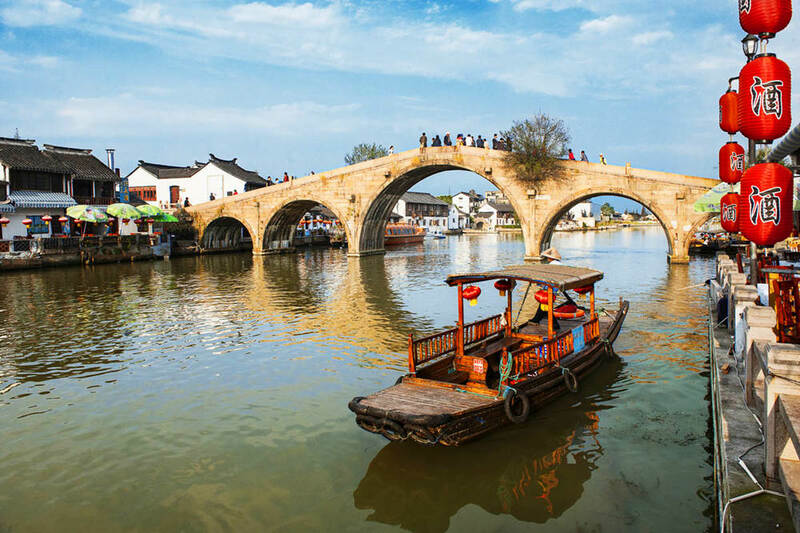 It features beautiful waterways, arched stone bridges, ancient streets paved with stone, and more than 10,000 houses dating back to Ming (1368-1644) and Qing (1644-1911) dynasties. You will have chance to take a gondola style boat cruise in the small canals in the town. Transfer back to downtown in the early afternoon and visit Najing Road & Renmin Square. If you have interests in museum, pay a visit to Shanghai Museum, which is one of the best museum in China. Acrobatic Show is highly recommended for an evening activities in Shanghai (optional). Transfer to airport in time for your next destination. Tips: If you take flight from Pudong Airport, you can try the Maglev train from Longyang Station to Pudong Airport. It takes 7min only for the 29.86km distance and highest speed is 431km/hr (267miles/hr).